I’d love to live upstairs in this building, so I could say, “I’ll just go down to the Beer Sellar and bring up a bottle or two.” Spotted in Nashville, Tennessee USA by Marc Burns. Does beer really come in 99 different ‘flavours’? Once upon a vine.. now in your glass of Rosé. 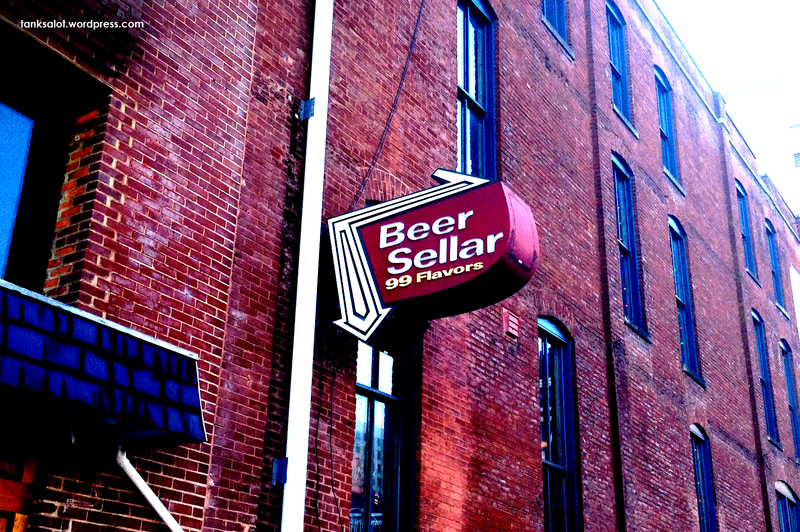 Fantastic PSN for a bottle shop, spotted by Jonathan Schneider in Richmond, Virginia USA. 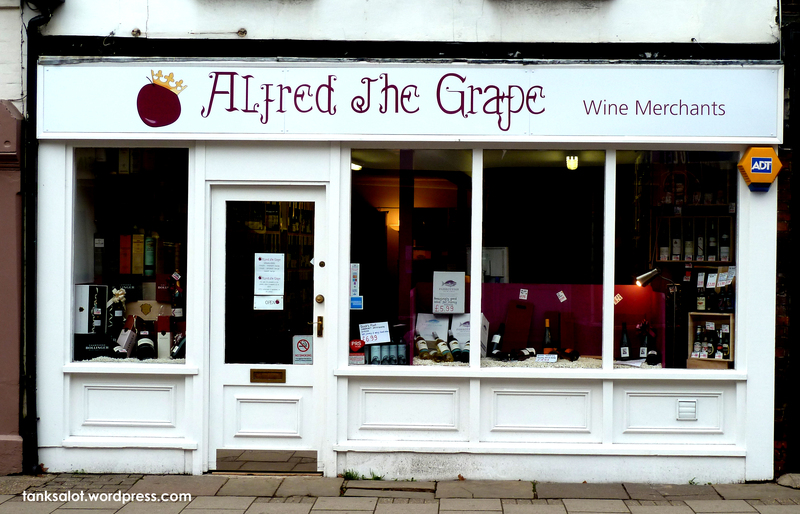 After battling those pesky Vikings all day, this is presumably where Alfred the Great would go for a nice bottle of Spumante. Found on Spittal St, Buckinghamshire UK by Dan Woodroff. 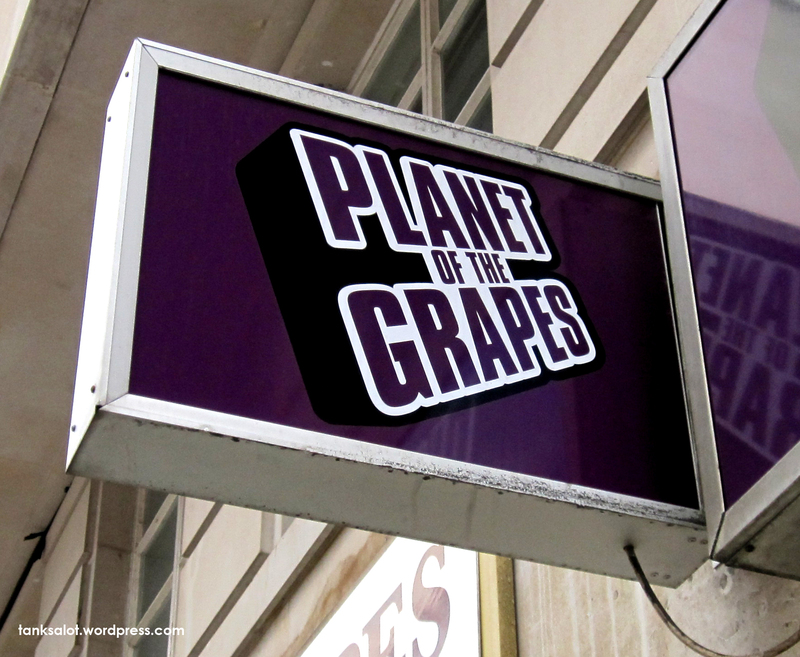 Reminds me a little of a classic bottle shop in London – Planet of the Grapes. Brilliant. 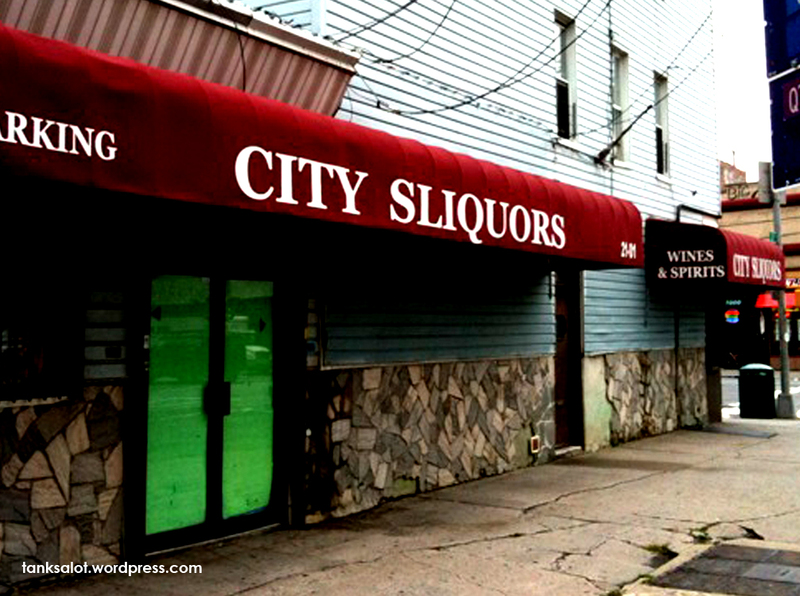 This must be where cowboys go to get their Whisky whilst in Queens, New York. Yet another Hall of Fame entry for top PSN contributor Marc Burns. We all know that eventually super-smart apes will take over the planet. And when they do, this is where they’ll come to buy a nice bottle of Pinot Noir. Spotted on New Oxford Street, London. If there’s one thing worth Cellarbrating it’s a great Pun Shop Name. So pop the corks and raise a toast to this Bottle Shop, spotted by new Top Punter Simon O’Brien in Adelaide SA. Somewhere on the planet, Jake and Elwood are cringing. All the way from Sweet Home.. er, Adelaide, comes this classic Pun Shop Name. Sent in by Janet O’Brien who is on a mission from God.